"Blame it on the c-c-c-c-cough syrup." 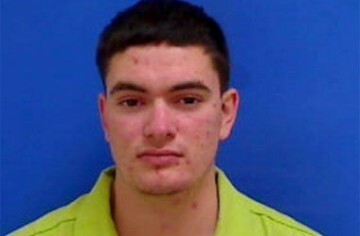 19 year old North Carolina man Michael Anderson is using the old “cough medicine made me go crazy” defense as an excuse for brutally murdering his roommate Stephen Starr, and then hacking his body into pieces with an axe. Anderson, whose Facebook page updates beforehand show he planned the killing, called police and confessed to his crime. The 911 calls have been made public, but are quite graphic. We’re reading conflicting reports about the relationship between the two men. Some outlets are claiming Starr, 36, was like a second father to Anderson. Others are claiming the two had a sexual relationship at one point, but that Anderson has “turned straight” and killed Starr for “staying gay.” Whatever the hell that means. Steven Starr, Killed for being gay? Either way, the murder is gruesome and chilling. “I OD’d on Mucinex DM. Dextromethorphan makes me feel a little weird and I took too many.” Somehow we think that defense isn’t going to hold up in court. Especially considering that Anderson mutilated Starr’s body so beyond recognition that he was able to hide the axe he used to chop him up inside of the victim’s own stomach. Should this kid be prosecuted under hate crime laws for killing Starr because he was gay? Or is he gay himself and suffering from internalized homophobia? This murder is a mess. What do you think about it?